You may soon see Google Glass making appearances in ambulances. 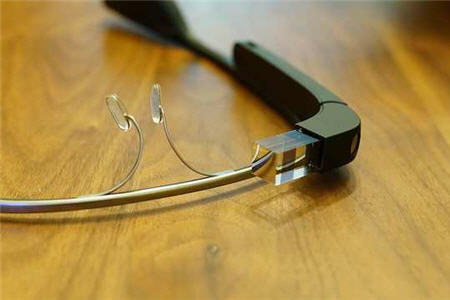 MedEx Ambulance Service has acquired two pairs of Google Glass, outfitted with software and connected to the Internet. This will allow paramedics to transmit live video and audio to a doctor in the emergency department directly from the ambulance. The doctor in turn will be able to watch the stream on a tablet or desktop computer. The wearable tech will give patients in dire situations access to advice, diagnosis, and treatment options directly from physicians. Dr. Porter is leading Rhode Island Hospital’s Google Glass study, and reports that, so far, the technology has functioned with few problems, with the caveat that it hasn’t yet been tested under the fast and noisy conditions of a real time emergency ambulance situation. That can be a big problem, because blurry images or dropped signals can literally mean life or death. Even after Glass is brought up to functional requirements, it still must pass the tough security requirements that a hospital needs to stay compliant with government regulations. Illinois Masonic, another facility taking part in the MedEx test, had to have Glass cleared by the hospital’s legal department before use. Any software, even that on Glass, that sends patient information to a healthcare provider much meet HIPAA standards. Out of the box, Glass does not. To address this issue, a Texas startup, Pristine Inc., has customized the device for medical professionals in a way that brings it up to compliance. This involved removing the integrated email, maps, search, social media, and additional apps that come standard. According to EMS1, Glass has even more applications for you to discuss with your customers in the emergency response field. Call flow: A driver could analyze incoming traffic flow data to adjust route instructions as necessary and cut back on response times without compromising safety. Medical Information: Medical records would be accessible through the entire process, giving paramedics the ability to scroll through records using their eyes and voice commands. On-Scene Integration: Readouts including vital signs, ECG tracings, pulse oximetry, and capnography would be available in one place, eliminating the need to glance at different devices. Lighting: Glass has the ability to magnify the lighting of the environment and zoom in on a situation directly in front of the wearer, making it easier to see veins or safety issues in darkened conditions.